It has been more than a year since I last posted an entry here in my blog. I hope I get to post more in the next days. Hello to all! 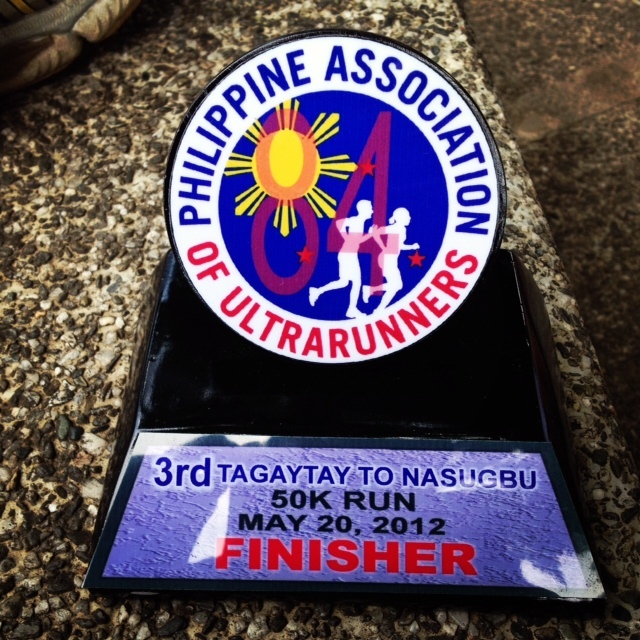 This is a late entry but I have to post this event since this is one of the major race that I did for this year. 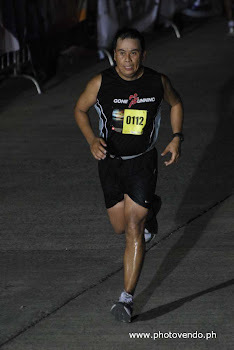 Prior to this race, I did the Condura Marathon back in February. 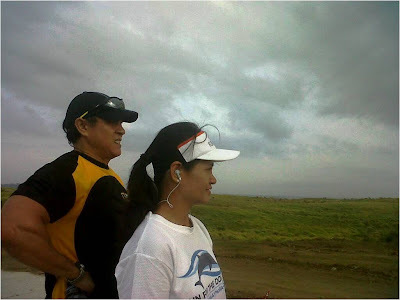 This event was also important because it was the debut ultra run of our friend Cherry Jardiniano who did great and now thinking of joining another PAU event. I guess she enjoyed it and trying to see how she would fair on a 65/70k run. After which, Im sure she'll go for the BDM 102k. It was another successful event from the Bald Runner and thanks to him for giving us the opportunity to participate in the race and that we were able to recruit a new addition to the ultra running community. I decided to run a faster pace and left Cherry and Jay. I wanted to see if I can maintain a certain pace until the finish line and see how far my threshold would be. At the same time I was testing my nutrition and hydration whether I get it right this time, and to see if the mileage I build from the weekend long runs paid off. I guess, I was just being stubborn and not being smart in pacing myself, because at km 40k I started to slow down until Jay and Cherry catched up with me at the last km. It was yet another lesson and I had to build more mileage and plan my nutrition/hydration well. 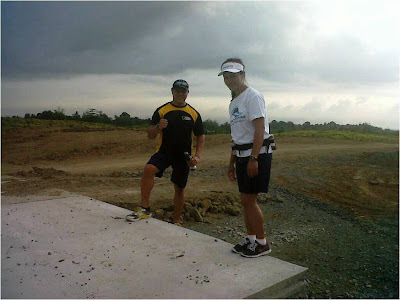 With Werner Cruz, his first time to do a 50k run. Finally met him in person, we are friends at Dailymile. 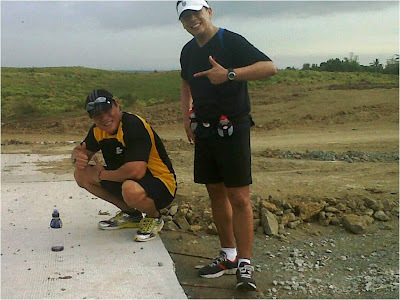 Gone Running Club, I hope to bring more GRC runners in the PAU event. 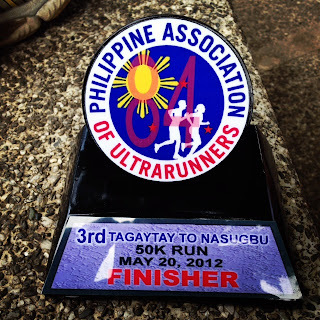 I love running this route from Tagaytay to Nasugbu. 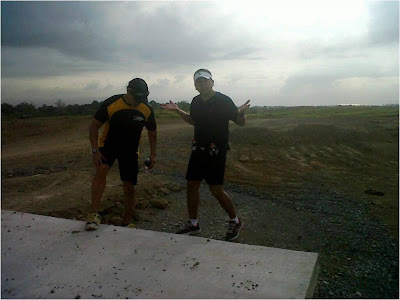 Hope to see fellow ultra runners back here in December and I hope to run other PAU events as well. BDM 160K.. Jay and I are still contemplating on when we will do this. Last week was a heavy workout in terms of mileage and training hours (at least an increase from the previous weeks). I skippd the Sunday long run as I felt leg fatigue nearing the end of the week. But I was happy that I managed to maintain a 6 day workout. Below is the summary of my workout last week. For this week, I'm looking forward for a 10 hour training workout.